Champ Bailey will likely become a first ballot Hall of Famer this weekend. Justin Michael reflects back on his historic career. Which Denver Bronco is next for the Hall of Fame? Which Denver Bronco is ready for the call in the future from the hall? 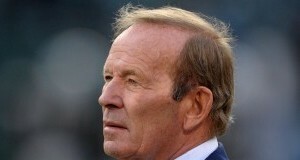 Pat Bowlen’s list of achievements should have landed him in the Pro Football Hall of Fame years ago. Pat Bowlen, the greatest owner in Colorado sports history, is one big step closer to being immortalized as a Hall of Famer. Does Randy Gradishar deserve to be in the Hall of Fame? Broncos fans think so, although, the star linebacker doesn't dwell on his exclusion. 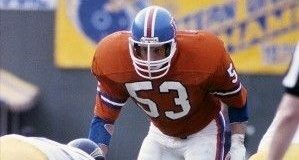 Randy Gradishar, one of the greatest players in Denver Broncos history, deserves to be in the Hall of Fame. He will meet with senior selection committee members soon. Jason Cole of Bleacher Report joined Eric Goodman and Les Shapiro on the Afternoon Drive to discuss the always controversial, Terrell Owens. Owens recently announced that he would be skipping the 2018 Hall of Fame induction ceremony. Rick Upchurch was a brilliant return man, and deserves a home in the Professional Football Hall of Fame. Dawkins spent three seasons patrolling the secondary for the Broncos and was named to the Pro Bowl in two of those three years. The latest list of candidates for the 2018 Pro Football Hall of Fame class included numerous former Denver Broncos, including head coach Dan Reeves.